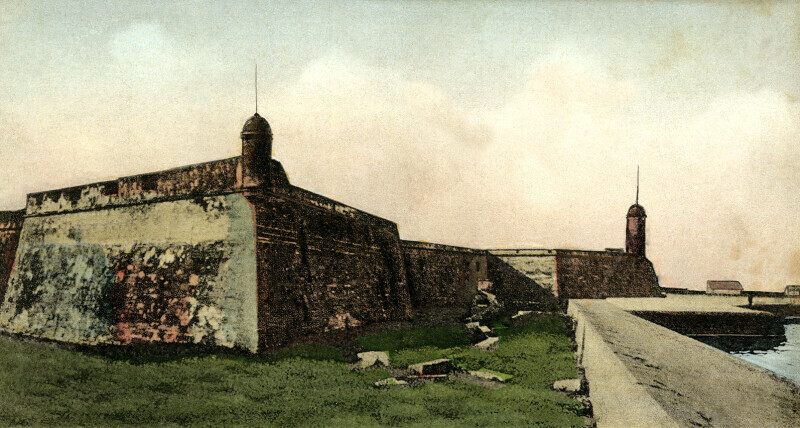 This postcard provides a ground level view of the walls of Fort Marion, with one of the bastions directly in front of the viewer. To the right, the thick sea wall can be seen running along the water. This fort is also called Castillo de San Marcos. It is listed on the National Register of Historic Places, and is a National Historic Landmark. WARNING: You are about to download a 4.0 MB TIFF!